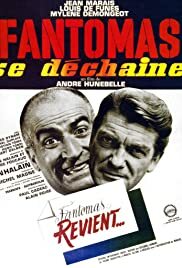 When Professor Marchand, a famous scientist, mysteriously disappears, the commissioner, Juve, immediately suspects Fantomas. The entire squad of gendarmes from Saint-Tropez has been retired. But there is no such power that could stop them from protecting the law and public order. Neurotic businessman must find the right man for his pregnant daughter. In fact, it is little bit complicated.